Avalon and Northside Hospital Giveback benefiting The Drake House. Through Jan. 21. Avalon, 400 Avalon Blvd., Alpharetta. Drop off gifts in the large gift box on the right of Avalon’s Concierge booth during operating hours. Gifts of toys, books, games, craft supplies, clothing and household items are requested to help single mothers and their children recover quickly from their homeless situation. By giving to The Drake House, guests not only will help North Fulton families in need but will receive $3 off their Avalon on Ice ticket for that day. 770-765-1000, ExperienceAvalon.com/events/EventItems/the-drake-house-giveback, TheDrakeHouse.org. Martin Luther King Jr. Celebration. 11 a.m. Sunday. Free. New Bethel AME Church, 8350 Rockbridge Road, Lithonia. “The Chosen Generation” will celebrate in song, dance and spoken word. Pastor Richard Allen Washington will lead the service. This event is sponsored annually by the church’s Lay Organization with Ms. Judy Fultz as the president and Mrs. Caryl James as the chairperson of the MLK Committee. 770-484-3350, NewBethel.org. Bearing Witness: Hershel Greenblat. Noon-1:30 p.m. Dolce Cafe, 12:30 p.m. guided tour of the Holocaust Gallery, 2-5 p.m. Sunday. Free with free parking. The Breman Museum, 1440 Spring St. NW, Atlanta. Born in the caves of Ukraine, Greenblat survived the Holocaust and settled with his family in Atlanta. 678-222-3700, info@TheBreman.org. Teen Gavel Club: Learning the Art of Public Speaking. 3 p.m. Sunday and Jan. 28 and second and fourth Sundays. Free. Alpharetta Library, 10 Park Plaza, Alpharetta. Teens, ages 13 to 18, are invited to learn how to improve their communication skills. Members of the Alpharetta Toastmasters chapter facilitate the meetings. 404-613-6735, afpls.org. MLK Celebration. 5-7 p.m. Sunday. Free. Kennesaw Mountain High School, 1890 Kennesaw Due West Road NW, Kennesaw. kennesaw-ga.gov/kennesaw-celebration-honoring-mlk-day. Sandy Springs’ Tribute to Martin Luther King Jr. 10 a.m. Monday. Heritage Sandy Springs, 6110 Blue Stone Road, Sandy Springs. Community volunteers of the Sandy Springs Mission, who make a difference in the lives of children every day, will be honored. Bring a children’s book (early reader to young adult) to donate to the Sandy Springs Mission. Sandy Springs businessman Oz Hill, the principal and CEO of International Security Solutions Inc., will return as emcee. Pastor Henry Bush of Sharon Community United Methodist Church will provide the challenge to continue King’s work. Citizen Response Center at 770-730-5600, SandySpringsGa.gov, facebook.com/SandySpringsGA. Cobb County Martin Luther King Jr. Celebration. 10 a.m. Monday. Turner Chapel AME Church, 492 N. Marietta Parkway, Marietta. 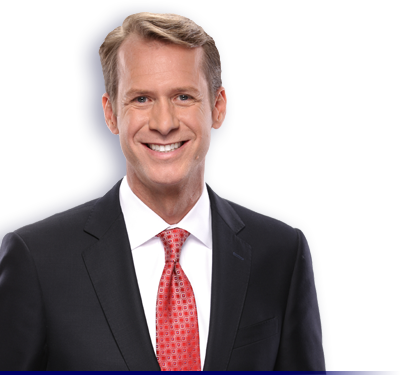 Emceed by WSB-TV anchor Fred Blankenship, the program will include entertainment and the presentation of the “Living the Dream” award to a community member who demonstrates King’s ideals. The event is hosted by Cobb County Government and the Cobb County branch of the NAACP. All Cobb County Government offices will be closed on Monday in observance of the national holiday. CobbCounty.org. Martin Luther King Jr. Day. 10 a.m. to 5:30 p.m. Monday. Free. Atlanta History Center, 130 W. Paces Ferry Road NW, Atlanta and Margaret Mitchell House, 979 Crescent Ave. NE, Atlanta. Special programming will highlight the contributions of African-Americans in Atlanta. 404-814-4000, AtlantaHistoryCenter.com/programs/martin-luther-king-jr.-day-1. MLK Day Parade. 11 a.m. to 12:30 p.m. Monday. Free. From Fallen Heroes Memorial, Gwinnett Justice and Administration Center, 75 Langley Drive, Lawrenceville to Moore Middle School, 1221 Lawrenceville Highway, Lawrenceville. At the conclusion of the parade, see performances, vendors and artwork. Keynote speakers will include alumni of the historic Hooper Renwick School in Lawrenceville. GwinnettCountyEvents.com. Christmas tree recycling by Keep North Fulton Beautiful. 9 a.m. to 5 p.m. Saturday (closing day). Sandy Springs Recycling Center, 470 Morgan Falls Road, Sandy Springs. Trees should be dropped off behind the building. All trees must be free of lights and ornaments. 770-551-7766, KeepNorthFultonBeautiful.org. Quilting: Using Traditional African-American Techniques. 10 a.m. to noon Saturday. Free. Scott Candler Library, 1917 Candler Road, Decatur. This introduction to the traditional African-American quilting process will include the basics of quilt construction. The teaching demonstration will cover types of materials to use as well as tips and shortcuts for working with a traditional block design. All experience levels are welcome. 404-286-6986, DeKalbLibrary.org. Raising Backyard Chickens. 10 a.m. to 4 p.m. Saturday. Free. Chamblee Library, 4115 Clairmont Road, Chamblee. See live chickens and learn about raising them in your backyard. A collection of books also will be available courtesy of the Friends of the Chamblee Library. 770-936-1380, DeKalbLibrary.org. Resume Workshop. 10 a.m. Saturday. Free. Cleveland Avenue Library, 47 Cleveland Ave. SW, Atlanta. Learn to create or update resumes and cover letters. Ages 18 and above. 404-762-4116, afpls.org. “The Giver” based on the book by Lois Lowry. 11 a.m. Saturday and Jan. 20 and 27. $10. Roswell Cultural Arts Center, 950 Forrest St., Roswell. When Jonas turns 12, he is chosen for special training by The Giver - to receive and keep the memories of the community. Presented by the Georgia Ensemble Theater Family Stage. Best for sixth grade and up. 770-641-1260, get.org. “Tenderly: The Rosemary Clooney Musical” by Janet Yates Vogt and Mark Friedman. Through Jan. 28. Times and days vary. $15 to $46. Georgia Ensemble Theatre, Roswell Cultural Arts Center, 950 Forrest St., Roswell. 770-641-1260, get.org. January events. Free. Kennesaw Mountain National Battlefield Park, 900 Kennesaw Mountain Drive, Kennesaw. These events may be cancelled due to inclement weather. 770-427-4686 ext. 0 or nps.gov/kemo. “Kennesaw Mountain Trail Club Work Day.” 8:30 a.m. to 12:30 p.m. Overflow parking lot, Old Highway 41, Kennesaw. Volunteers are needed to help park staff maintain the park’s 20-plus trails. The NPS Volunteer Services Agreement is required. A parent must sign the form if the student is under 18 years old. Form and directions to the registration site: KennesawMountainTrailClub.org. “The Importance of NPS Battlefields.” 11-11:30 a.m. Saturday. Listen to a ranger discuss the importance of preserving historic battlefields and the preservation efforts of the National Park Service. “Guided 24-Gun Battery Hike.” 11 a.m. to 12:30 p.m. Sunday. This ranger-guided hike lasts three miles and focuses on the importance of preservation, protection and history within the national parks. This event may be cancelled due to inclement weather. Christmas tree recycling by Keep North Fulton Beautiful. 9 a.m. to 5 p.m. through Sunday. The Home Depot, 5950 State Bridge Road, Johns Creek. Scouts from BSA Troop 2000 will help unload trees Saturday and Sunday. All trees must be free of lights and ornaments. 770-551-7766, KeepNorthFultonBeautiful.org. Christmas tree recycling by Keep North Fulton Beautiful. 9 a.m. to 5 p.m. through Sunday. The Home Depot, 6400 Peachtree Dunwoody Road, Sandy Springs. Trees will be collected in front of the garden center. All trees must be free of lights and ornaments. 770-551-7766, KeepNorthFultonBeautiful.org. Roald Dahl’s “Willy Wonka KIDS” by OnStage Atlanta Young Performers. 11 a.m. and 1 p.m. Saturdays through Jan. 27. $10 to $13. 2969 E. Ponce de Leon Ave., Suite A, Decatur. Tickets: OnStageAtlanta.tix.com. 404-897-1802, OnStageAtlanta.com. Disney’s “Beauty and the Beast Jr.” by OnStage Atlanta Young Performers. 3 p.m. Saturdays, 7 p.m. Thursdays through Jan. 27 and 5 p.m. Jan. 20. $10 to $13. 2969 E. Ponce de Leon Ave., Suite A, Decatur. Tickets: OnStageAtlanta.tix.com. 404-897-1802, OnStageAtlanta.com. The Tribute to Lucy & Ricky Musical Comedy Show. 7 p.m. Saturday. $15/$12 for ages 62 and above, student, child, groups of 10 plus and military with ID. The Dallas Theatre, 208 Main St., Dallas. 678-363-0813, DallasTheatre@dallas-ga.gov. Martin Luther King Jr. Week. Kennesaw State University, 1000 Chastain Road, Kennesaw. The theme is “Where Do We Go from Here: Chaos or Community?” based on the late Rev. King’s 1967 book of the same title. StudentEngagement.kennesaw.edu/msa/MLK.php. Keynote address for MLK Ceremony by Emmy Award-winning journalist Ed Gordon. 5:15 p.m. doors open, 6-8 p.m. Sunday. Free. Kennesaw Campus, Bailey Performance Center. Six Voices: “Celebrating Dr. Martin Luther King Jr.” Luncheon. Noon-1:30 p.m. Tuesday. Free. Kennesaw Campus, Carmichael Student Center University Room. Six KSU community members will reflect on a quote, speech or action from King and share how his philosophies continue to impact our society. Light lunch will be served. Register: StudentEngagement.kennesaw.edu/msa/MLK.php. MLK Week Film: “Accidental Courtesy: Daryl Davis, Race and America.” 5-7 p.m. Tuesday. Free. Kennesaw Campus, University Room. 5-8 p.m. Wednesday. Free. Marietta Campus Ballrooms A and B, 1100 S. Marietta Parkway, Marietta. A blues musician, Davis will attend the Marietta Campus screening and discuss the film’s message which depicts his mission to combat racism in America by befriending members of the Ku Klux Klan. Light dinner will be served at the Marietta Campus screening. “Dr. King’s Influence on Social Change.” 12:30-2 p.m. Thursday. Free. Kennesaw Campus, Carmichael Student Center Leadership Room. KSU Multicultural Student Affairs will moderate a discussion on King’s influence on social movements and connecting them to contemporary issues. Light lunch will be served. Martin Luther King Jr. Day of Service. 9 a.m. to 1 p.m. Monday. Free. Tucker Recreation Center, 4898 LaVista Road, Tucker. In coordination with the city of Tucker’s newly created Parks and Recreation Department, repaint the two large front halls and window trim. Open to all ages with all supplies provided. TuckerRec.org/latest-news. MLK Birthday Essay Contest. Through Friday. Free. Adamsville-Collier Heights, 3424 Martin Luther King Jr. Drive, Atlanta. In honor of A. Philip Randolph’s and Martin Luther King Jr.’s usage of the silent protest for civil rights change, submit a one-page essay on the topic: “Do you think the silent protest is still relevant in 2018?” Ages 12 to 17, grades 6 to 9. 404-699-4206, afpls.org.